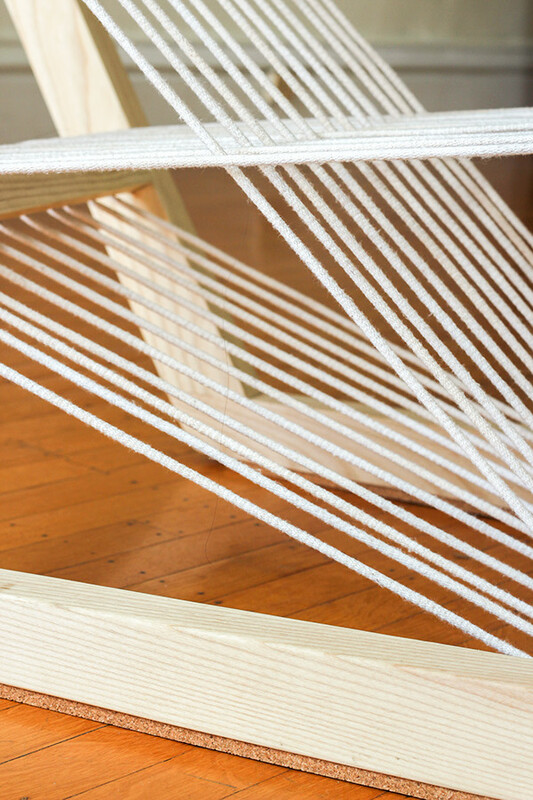 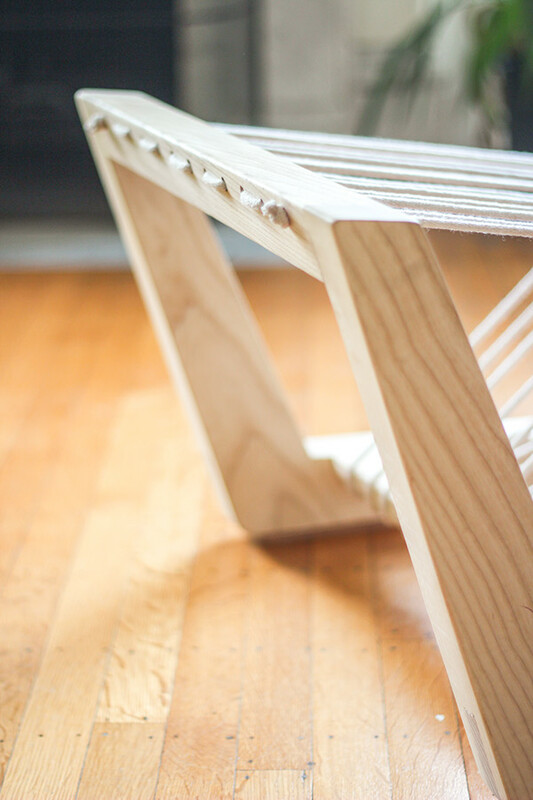 A lounge chair made from a single board of ash, a 100 ft. length of uncut cord, and cork trim. 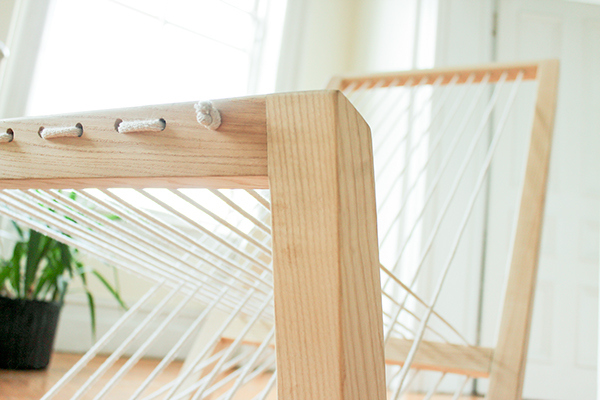 Maximum comfort with minimal material. 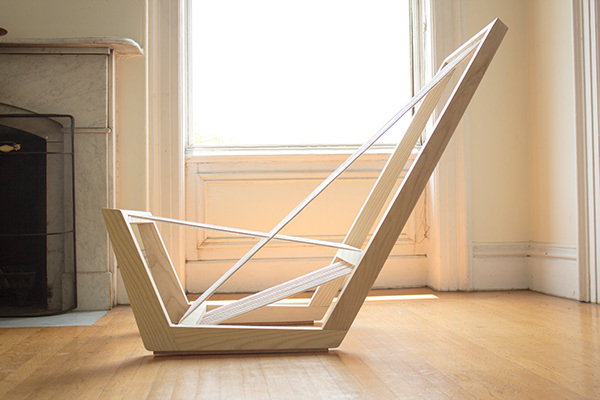 The design takes advantage of the respective strengths of rope in tension and wood in compression to create a clean and diagrammatic form. 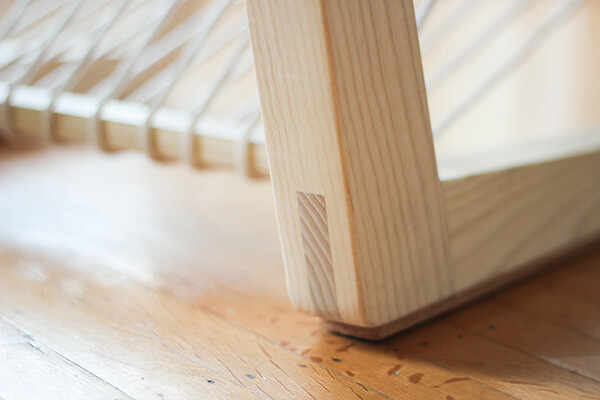 The single cord design allows it to shift pressure from each interconnected section to another, allowing it to distribute weight in response to use while creating a rhythm of lines and motion. 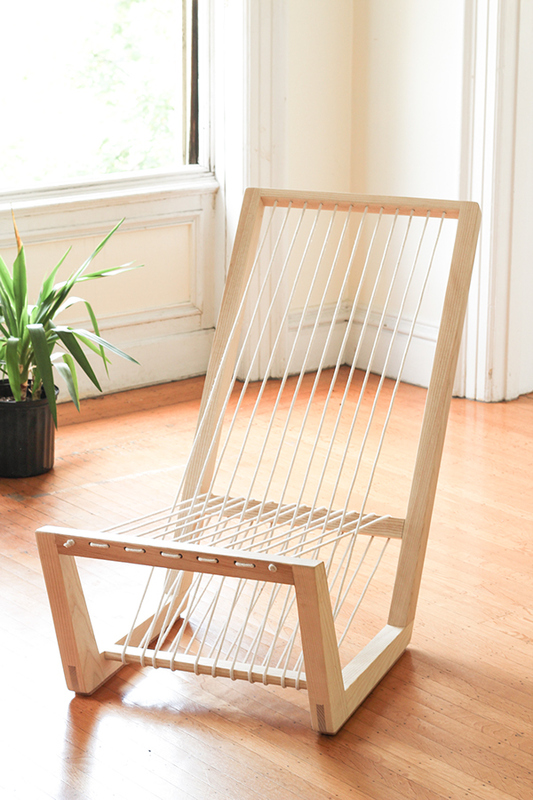 A lounge chair made from a single board of ash, an uncut length of cord, and cork details.